Today's report from Gabe's Truck & Auto Repair is on vehicle batteries, why they die and what we can do to lengthen their life. Most of us have had a dead battery at one time or another. In fact, it would be very unusual if you hadn't. You may be surprised to learn that only 30 percent of Fairbanks vehicle batteries last for 48 months. Now that's an average. How long a battery lasts depends on many factors. You may not know that one of the biggest factors is the temperature where you live and drive around in AK. You might suppose that cold weather was harder on batteries because it takes more power to crank a cold engine, but the opposite is actually true. Batteries in very cold climates have a life expectancy of 51 months as opposed to 30 months in very warm climates. The reason is simple: batteries are chemically more active when they're hot than when they're cold. A vehicle battery will actually start to discharge on its own within 24 hours in hot weather. It takes several days in cold weather. When batteries are left too long in a state of partial discharge, the discharged portion of the battery plates — for the lack of a better word — 'die.' Recharging the battery will not restore the dead part of the battery plate. One of the big problems for the way most of us drive in the Fairbanks area is that our batteries are often partially discharged. The biggest job the battery does is to start the vehicle. It takes some time for the alternator to recharge the battery after starting. If you're driving short distances, especially if there are several starts and stops, your battery may not fully recharge. Another issue is that vehicles are coming equipped with more and more electricity-hungry accessories like navigation systems, DVD players, CD and MP3 players, heated seats, heated steering wheels and so on. And we often plug in cell phones, computers and other gadgets. Combine that with short trips and it's no wonder that our batteries are partially discharged. Experts say we can extend our battery life by topping off the charge periodically using a good quality battery charger. You may have heard these chargers referred to as 'trickle chargers.' They're attached to the battery and plugged into a wall outlet to slowly bring the battery up to full charge. Now, there's some science involved with how fast a battery should be recharged. If you buy a cheap manual charger, you'll have to tend it. Frankly there is a learning curve on how to do it right and it requires much attention. A computer controlled charger – or smart charger – monitors the process and determines the appropriate rate of charge. And it even stops charging when it's fully charged. It costs more than the manual charger, but the automatic model is worth it. Another thing to avoid is deeply discharging your battery, something like running the headlights and stereo with the engine turned off. That'll take months off the battery life every time you do it. Now, as we discussed, heat is hard on a battery. A dirty, greasy battery holds more heat. You can wipe off excess dirt with a paper towel or ask your service advisor at Gabe's Truck & Auto Repair to clean it for you. 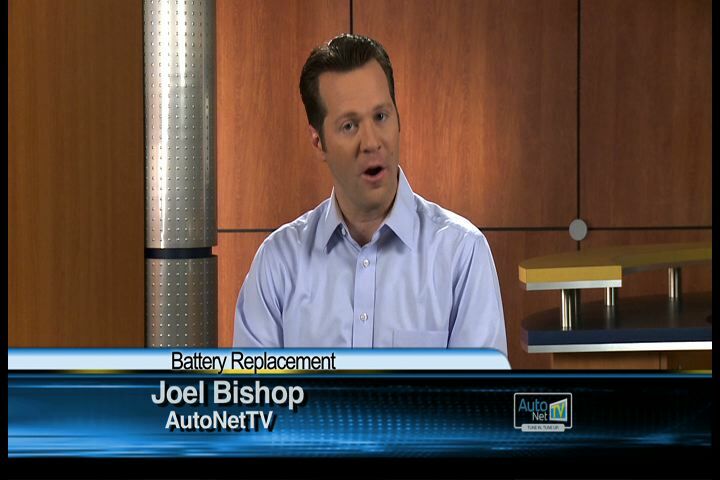 We can even test your battery and tell you if it's time to replace it. Batteries are fairly expensive, so taking a few steps to make them last longer is well worth it. Of course, the battery will eventually need to be replaced. Always make sure you get a new battery that meets the factory specifications for your vehicle. If you feel you need more battery capacity than what came with your vehicle, talk with your service advisor at Gabe's Truck & Auto Repair about appropriate upgrades.